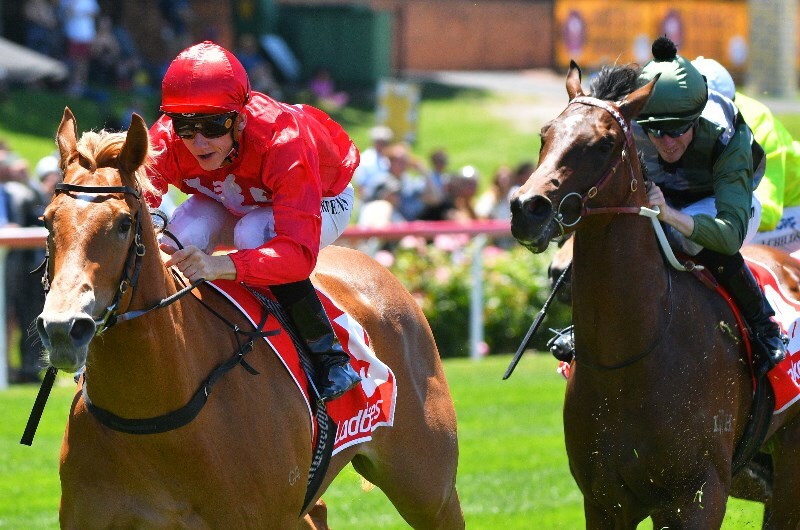 2020 Blue Diamond Stakes Preview, Predictions & Betting Tips - Who will be the next 2YO star? 2020 Blue Diamond Stakes - Who will be the next 2YO star? The Blue Diamond Stakes is Melbourne's premier 2YO feature and it runs in late February at Caulfield. With a big prize purse of $1.5 million, it's one of the major two-year-old races on the calendar, which also includes the Golden Slipper. Many Blue Diamond winners have gone on to become champion older thoroughbreds and also stallion prospects. It's an important race to win and punters love betting on the sprinting feature. 2019 sees an even market which is headed by Brooklyn Hustle. The filly looked the goods on debut and there has been steady money coming for her since markets opened. Jason Warren lines up the two-year-old filly which couldn't have been more impressive on debut. She cruised past her rivals with ease in the straight at Moonee Valley and the form behind her has stacked up. She defeated Yes Yes Yes by two lengths and it has gone on to win multiple races at a high level. That's good form for the Blue Diamond and she has been kept in the paddock since. We're expecting Warren to give her one more run before the Blue Diamond and her odds could drop because of that. Like every two-year-old race there is an element of luck, but the daughter of Starspangledbanner looks to be heading for the stars. Catch Me is another quality filly which is unbeaten after two starts, including the Group 3 Gimcrack Stakes on debut before winning the Group 3 Blue Diamond Preview at Caulfield. Both of those wins were classy and there's no doubting her ability, but she will need to produce a slightly better turn-of-foot than she showed last start. Trainers Peter and Paul Snowden are masters at getting their juveniles fired up on race day and given that she's still paying around 2.00 to place, that's great value. The Mick Price-trained runner finished second behind I Am Immortal on debut and he should improve with the run. The son of Shooting To Win has been specked at odds and that's good enough to be included here.